At the end of October, England established itself as the definite winner of another World Cup in football, this time in the under-17 category. The young England side beat Spain 5-2 in a final they dominated in the Indian city of Kolkata. This is the second age-group team in the country to win gold this year, following on the success of England’s under-20 team, who also won the FIFA World Cup in South Korea in the summer with a 1-0 win over Venezuela. England’s starting eleven in the final was made up of four players from Chelsea and three from Manchester City. The rest came from Fulham, Watford, Wolves and Liverpool, one from each team. After a shaky start of the game at Kolkata’s Salt Lake Stadium, the talented football players came from two goals down to beat Spain 5-2. Very early in the game, Spain managed to score two goals from Sergio Goméz and nobody really expected things to change so drastically on the field until the end of the match. Nonetheless, the young English squad seemed unstoppable and managed to score five goals without response and Spain simply could not recover. 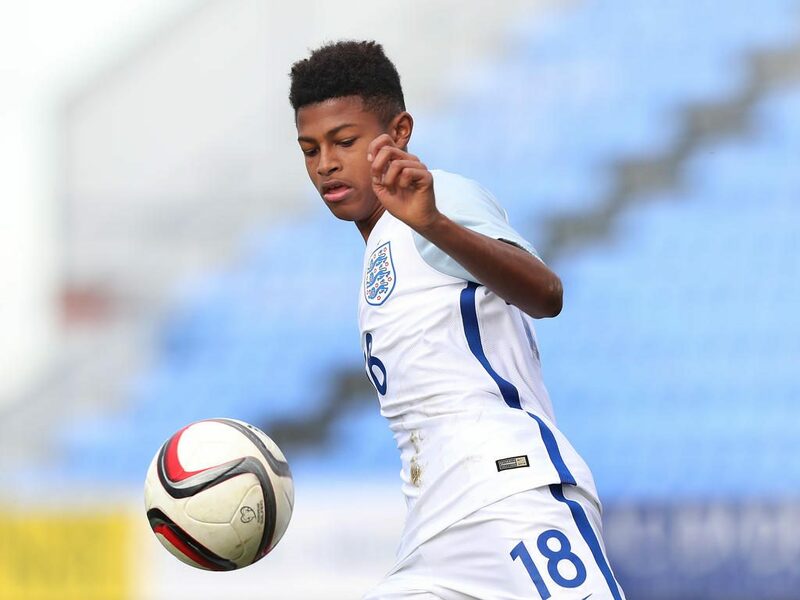 Rhian Brewster, who ended the tournament as the leading goalscorer, sent the ball in the net with a header just before half-time. His strike in the final match was his eighth goal in the competition and landed him the Golden Boot. Morgan Gibbs-White scored the second goal in the 58th minute, but the team didn’t stop here, as Marc Guehi scored the third goal, while Phil Foden completed the comeback with another two. Foden also received the Golden Ball as player of the tournament. This must have been the most spectacular Under 17 World Cup ever, at least for England’s side. Out of the 52 matches of the tournament, only two were goalless, so they were definitely good entertainment for the supporters. This historic win has made many say this is England’s Golden Generation and it gives English football fans genuine optimism about their national football prospects. Let’s just hope that these talented and ambitious youngsters are given the opportunity to progress when they return to England. 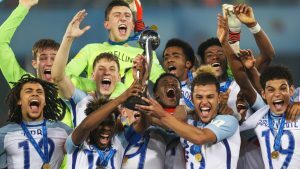 Another youth football team, the U19s, also claimed the UEFA European Under-19 Championship this year by defeating Portugal, thus making England the first country to have won three major underage tournaments in one year. This means that England certainly has the potential to produce young talent.